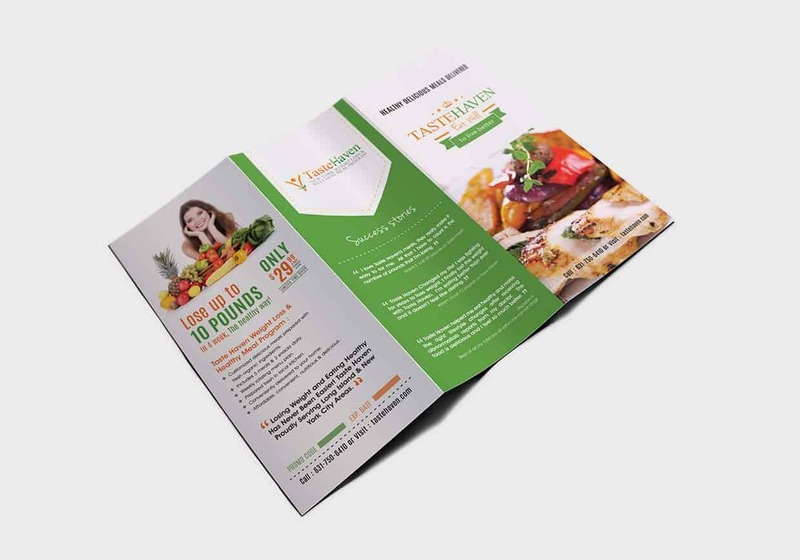 TasteHaven is a New York based Weight loss and Wellness meal (food) company. 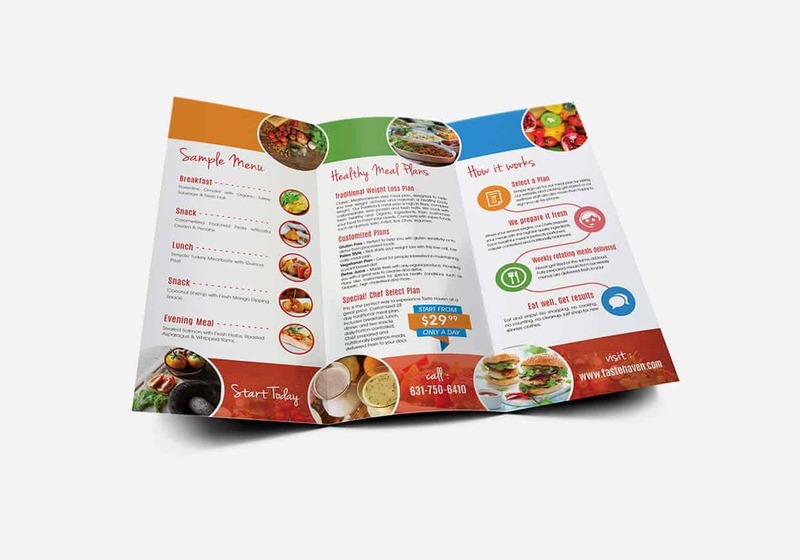 They wanted a fresh diet design which can attract more customer. 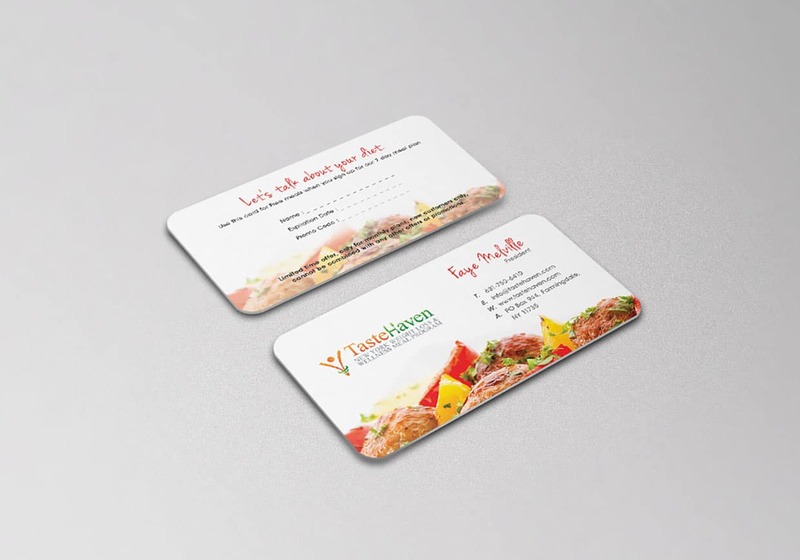 At Taste Haven they are proud to provide a range of meals that are nutritious, delicious and designed for lasting weight loss. Weight Loss and Healthy Eating has never been easier! Taste Haven proudly serving Long Island. Our main target was those people, who love to eat. We used a variety of food picture in the designs with cool colors. Anyway for food lovers, what could be better than food pictures. 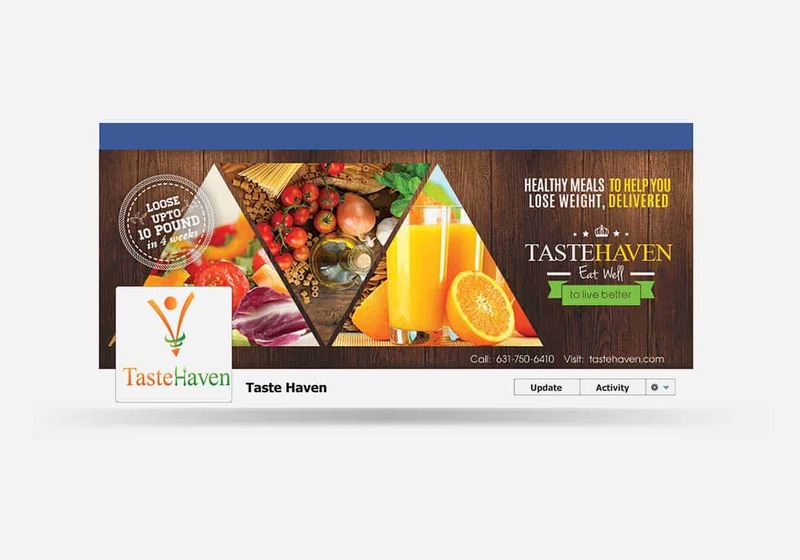 :) We made a Tri-fold, Business card and Facebook Timeline for Taste-Haven.